Competitive markets are optimal at maximizing utility, as long as you value rich people more. That is literally a theorem in neoclassical economics. I had previously thought that this was something most economists didn’t realize; I had delusions of grandeur that maybe I could finally convince them that this is the case. But no, it turns out this is actually a well-known finding; it’s just that somehow nobody seems to care. Or if they do care, they never talk about it. For all the thousands of papers and articles about the distortions created by minimum wage and capital gains tax, you’d think someone could spare the time to talk about the vastly larger fundamental distortions created by the structure of the market itself. It’s not as if this is something completely hopeless we could never deal with. A basic income would go a long way toward correcting this distortion, especially if coupled with highly progressive taxes. By creating a hard floor and a soft ceiling on income, you can reduce the inequality that makes these distortions so large. The basics of the theorem are quite straightforward, so I think it’s worth explaining them here. It’s extremely general; it applies anywhere that goods are allocated by market prices and different individuals have wildly different amounts of wealth. Suppose that each person has a certain amount of wealth W to spend. Person 1 has W1, person 2 has W2, and so on. They all have some amount of happiness, defined by a utility function, which I’ll assume is only dependent on wealth; this is a massive oversimplification of course, but it wouldn’t substantially change my conclusions to include other factors—it would just make everything more complicated. (In fact, including altruistic motives would make the whole argument stronger, not weaker.) Thus I can write each person’s utility as a function U(W). The rate of change of this utility as wealth increases, the marginal utility of wealth, is denoted U'(W). By the law of diminishing marginal utility, the marginal utility of wealth U'(W) is decreasing. That is, the more wealth you have, the less each new dollar is worth to you. Now suppose people are buying goods. Each good C provides some amount of marginal utility U'(C) to the person who buys it. This can vary across individuals; some people like Pepsi, others Coke. This marginal utility is also decreasing; a house is worth a lot more to you if you are living in the street than if you already have a mansion. Ideally we would want the goods to go to the people who want them the most—but as you’ll see in a moment, markets systematically fail to do this. Now consider this from the perspective of society as a whole. If you wanted to maximize utility, you’d equalize marginal utility across individuals (by the Extreme Value Theorem). The idea is that if marginal utility is higher for one person, you should give that person more, because the benefit of what you give them will be larger that way; and if marginal utility is lower for another person, you should give that person less, because the benefit of what you give them will be smaller. When everyone is equal, you are at the maximum. If the marginal utilities were the same, U'(W1) = U'(W2), we’d be fine; these would give the same results. But that would only happen if W1 = W2, that is, if the two individuals had the same amount of wealth. Because person 1’s utility counts for more, their marginal utility also counts for more. This seems very strange; why are we valuing some people more than others? On what grounds? Yet this is effectively what we’ve already done by using market prices. Since marginal utility of wealth is decreasing, 1/U'(W) is higher precisely when W is higher. If utility is harmonic, matters are even more severe. What are we really saying here? Hopefully no one actually believes that Bill Gates is really morally worth 400 trillion times as much as a starving child in Malawi, as the calculation from harmonic utility would imply. (Bill Gates himself certainly doesn’t!) Even the logarithmic utility estimate saying that he’s worth 20 million times as much is pretty hard to believe. But implicitly, the market “believes” that, because when it decides how to allocate resources, something that is worth 1 microQALY to Bill Gates (about the value a nickel dropped on the floor to you or I) but worth 20 QALY (twenty years of life!) to the Malawian child, will in either case be priced at $8,000, and since the child doesn’t have $8,000, it will probably go to Mr. Gates. Perhaps a middle-class American could purchase it, provided it was worth some 0.3 QALY to them. Now consider that this is happening in every transaction, for every good, in every market. Goods are not being sold to the people who get the most value out of them; they are being sold to the people who have the most money. And suddenly, the entire edifice of “market efficiency” comes crashing down like a house of cards. A global market that quite efficiently maximizes willingness-to-pay is so thoroughly out of whack when it comes to actually maximizing utility that massive redistribution of wealth could enormously increase human welfare, even if it turned out to cut our total output in half—if utility is harmonic, even if it cut our total output to one-tenth its current value. On this scale, Bill Gates is only worth about 5 times as much as the Malawian child, which in his particular case might actually be too small—if a trolley is about to kill either Bill Gates or 5 Malawian children, I think I save Bill Gates, because he’ll go on to save many more than 5 Malawian children. (Of course, substitute Donald Trump or Charles Koch and I’d let the trolley run over him without a second thought if even a single child is at stake, so it’s not actually a function of wealth.) In any case, a 5 to 1 range across the whole range of human wealth is really not that big a deal. It would introduce some distortions, but not enough to justify any redistribution that would meaningfully reduce overall output. Of course, that commits you to saying that $1 to a Malawian child is only worth about $1.50 to you or I and $5 to Bill Gates. If you can truly believe this, then perhaps you can sleep at night accepting the outcomes of neoclassical economics. But can you, really, believe that? If you had the choice between an intervention that would give $100 to each of 10,000 children in Malawi, and another that would give $50,000 to each of 100 billionaires, would you really choose the billionaires? Do you really think that the world would be better off if you did? We don’t have precise measurements of marginal utility of wealth, unfortunately. At the moment, I think logarithmic utility is the safest assumption; it’s about the slowest decrease that is consistent with the data we have and it is very intuitive and mathematically tractable. Perhaps I’m wrong and the decrease is even slower than that, say W^(-0.5) (then the market only values billionaires as worth thousands of times as much as starving children). But there’s no way you can go as far as it would take to justify our current distribution of wealth. W^(-0.1) is simply not a plausible value. And this means that free markets, left to their own devices, will systematically fail to maximize human welfare. We need redistribution—a lot of redistribution. Don’t take my word for it; the math says so. In honor of International Star Wars Day, this post is going to be about Star Wars! But this won’t be as frivolous as it may sound. Star Wars has a lot of important lessons to teach us about economics and other social sciences, and its universal popularity gives us common ground to start with. I could use Zimbabwe and Botswana as examples, and sometimes I do; but a lot of people don’t know much about Zimbabwe and Botswana. A lot more people know about Tatooine and Naboo, so sometimes it’s better to use those instead. In fact, this post is just a small sample of a much larger work to come; several friends of mine who are social scientists in different fields (I am of course the economist, and we also have a political scientist, a historian, and a psychologist) are writing a book about this; we are going to use Star Wars as a jumping-off point to explain some real-world issues in social science. First, let me explain why this is such a mystery to begin with. We’re so accustomed to poverty being in the world that we expect to see it, we think of it as normal—and for most of human history, that was probably the correct attitude to have. Up until at least the Industrial Revolution, there simply was no way of raising the standard of living of most people much beyond bare subsistence. A wealthy few could sometimes live better, and most societies have had such an elite; but it was never more than about 1% of the population—and sometimes as little as 0.01%. They could have distributed wealth more evenly than they did, but there simply wasn’t that much to go around. The “prosperous” “democracy” of Periclean Athens for example was really an aristocratic oligarchy, in which the top 1%—the ones who could read and write, and hence whose opinions we read—owned just about everything (including a fair number of the people—slavery). Their “democracy” was a voting system that only applied to a small portion of the population. But now we live in a very different age, the Information Age, where we are absolutely basking in wealth thanks to enormous increases in productivity. Indeed, the standard of living of an Athenian philosopher was in many ways worse than that of a single mother on Welfare in the United States today; certainly the single mom has far better medicine, communication, and transportation than the philosopher, but she may even have better nutrition and higher education. Really the only things I can think of that the philosopher has more of are jewelry and real estate. The single mom also surely spends a lot more time doing housework, but a good chunk of her work is automated (dishwasher, microwave, washing machine), while the philosopher simply has slaves for that sort of thing. The smartphone in her pocket (81% of poor households in the US have a cellphone, and about half of these are smartphones) and the car in her driveway (75% of poor households in the US own at least one car) may be older models in disrepair, but they would still be unimaginable marvels to that ancient philosopher. How is it, then, that we still have poverty in this world? Even if we argued that the poverty line in First World countries is too high because they have cars and smartphones (not an argument I agree with by the way—given our enormous productivity there’s no reason everyone shouldn’t have a car and a smartphone, and the main thing that poor people still can’t afford is housing), there are still over a billion people in the world today who live on less than $2 per day in purchasing-power-adjusted real income. That is poverty, no doubt about it. Indeed, it may in fact be a lower standard of living than most human beings had when we were hunter-gatherers. It may literally be a step downward from the Paleolithic. Here is where Tatooine may give us some insights. So let’s look at it another way: How much metal would it take to build such a thing, and how much would that cost in today’s money? We actually see quite a bit of the inner structure of the Death Star II in Return of the Jedi, so I can hazard a guess that about 5% of the volume of the space station is taken up by solid material. Who knows what it’s actually made out of, but for a ballpark figure let’s assume it’s high-grade steel. The volume of a 160 km diameter sphere is 4*pi*r^3 = 4*(3.1415)*(80,000)^3 = 6.43 quadrillion cubic meters. If 5% is filled with material, that’s 320 trillion cubic meters. High-strength steel has a density of about 8000 kg/m^3, so that’s 2.6 quintillion kilograms of steel. A kilogram of high-grade steel costs about $2, so we’re looking at $5 quintillion as the total price just for the raw material of the Death Star II. That’s $5,000,000,000,000,000,000. I’m not even including the labor (droid labor, that is) and transportation costs (oh, the transportation costs! ), so this is a very conservative estimate. To get a sense of how ludicrously much money this is, the population of Coruscant is said to be over 1 trillion people, which is just about plausible for a city that covers an entire planet. 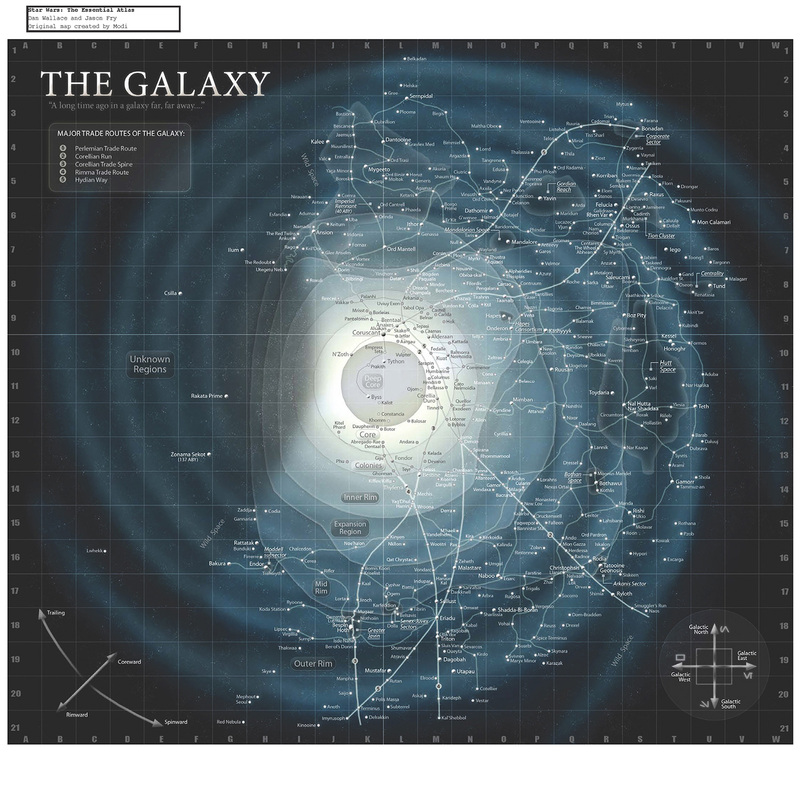 The population of the entire galaxy is supposed to be about 400 quadrillion. Suppose that instead of building the Death Star II, Emperor Palpatine had decided to give a windfall to everyone on Coruscant. How much would he have given each person (in our money)? $5 million. Suppose instead he had offered the windfall to everyone in the galaxy? $12.50 per person. That’s 50 million worlds with an average population of 8 billion each. Instead of building the Death Star II, Palpatine could have bought the whole galaxy lunch. Put another way, the cost I just estimated for the Death Star II is about 60 million times the current world GDP. So basically if the average world in the Empire produced as much as we currently produce on Earth, there would still not be enough to build that thing. In order to build the Death Star II in secret, it must be a small portion of the budget, maybe 5% tops. In order for only a small number of systems to revolt, the tax rates can’t be more than say 50%, if that; so total economic output on the average world in the Empire must in fact be more like 50 times what it is on Earth today, for a comparable average population. This puts their per-capita GDP somewhere around $500,000 per person per year. So, economic output is extremely high in the Star Wars universe. Then why is Tatooine poor? If there’s enough output to make basically everyone a millionaire, why haven’t they? Political power is of course very unequally distributed in the Star Wars universe, especially under the Empire but also even under the Old Republic and New Republic. Core Worlds like Coruscant appear to have fairly strong centralized governments, and at least until the Emperor seized power and dissolved the Senate (as Tarkin announces in A New Hope) they also seemed to have fairly good representation in the Galactic Senate (though how you make a functioning Senate with millions of member worlds I have no idea—honestly, maybe they didn’t). As a result, Core Worlds are prosperous. Actually, even Naboo seems to be doing all right despite being in the Mid Rim, because of their strong and well-managed constitutional monarchy (“elected queen” is not as weird as it sounds—Sweden did that until the 16th century). They often talk about being a “democracy” even though they’re technically a constitutional monarchy—but the UK and Norway do the same thing with if anything less justification. But Outer Rim Worlds like Tatooine seem to be out of reach of the central galactic government. (Oh, by the way, what hyperspace route drops you off at Tatooine if you’re going from Naboo to Coruscant? Did they take a wrong turn in addition to having engine trouble? “I knew we should have turned left at Christophsis!”) They even seem to be out of range of the monetary system (“Republic credits are no good out here,” said Watto in The Phantom Menace. ), which is pretty extreme. That doesn’t usually happen—if there is a global hegemon, usually their money is better than gold. (“good as gold” isn’t strong enough—US money is better than gold, and that’s why people will accept negative real interest rates to hold onto it.) I guarantee you that if you want to buy something with a US $20 bill in Somalia or Zimbabwe, someone will take it. They might literally take it—i.e. steal it from you, and the government may not do anything to protect you—but it clearly will have value. So, the Outer Rim worlds are extremely isolated from the central government, and therefore have their own local institutions that operate independently. Tatooine in particular appears to be controlled by the Hutts, who in turn seem to have a clan-based system of organized crime, similar to the Mafia. We never get much detail about the ins and outs of Hutt politics, but it seems pretty clear that Jabba is particularly powerful and may actually be the de facto monarch of a sizeable region or even the whole planet. Jabba’s government is at the very far extreme of what Daron Acemoglu calls extractive regimes (I’ve been reading his tome Why Nations Fail, and while I agree with its core message, honestly it’s not very well-written or well-argued), systems of government that exist not to achieve overall prosperity or the public good, but to enrich a small elite few at the expense of everyone else. The opposite is inclusive regimes, under which power is widely shared and government exists to advance the public good. Real-world systems are usually somewhere in between; the US is still largely inclusive, but we’ve been getting more extractive over the last few decades and that’s a big problem. Jabba himself appears to be fantastically wealthy, although even his huge luxury hover-yacht (…thing) is extremely ugly and spartan inside. I infer that he could have made it look however he wanted, and simply has baffling tastes in decor. The fact that he seems to be attracted to female humanoids is already pretty baffling, given the obvious total biological incompatibility; so Jabba is, shall we say, a weird dude. Eccentricity is quite common among despots of extractive regimes, as evidenced by Muammar Qaddafi’s ostentatious outfits, Idi Amin’s love of oranges and Kentucky Fried Chicken, and Kim Jong-Un’s fear of barbers and bond with Dennis Rodman. Maybe we would all be this eccentric if we had unlimited power, but our need to fit in with the rest of society suppresses it. It’s difficult to put a figure on just how wealthy Jabba is, but it isn’t implausible to say that he has a million times as much as the average person on Tatooine, just as Bill Gates has a million times as much as the average person in the US. Like Qaddafi, before he was killed he probably feared that establishing more inclusive governance would only reduce his power and wealth and spread it to others, even if it did increase overall prosperity. It’s important to note that it is not simply geography (galactography?) that makes Tatooine poor. Their sparse, hot desert may be less productive agriculturally, but that doesn’t mean that Tatooine is doomed to poverty. Indeed, today many of the world’s richest countries (such as Qatar) are in deserts, because they produce huge quantities of oil. I doubt that oil would actually be useful in the Old Republic or the Empire, but energy more generally seems like something you’d always need. Tatooine has enormous flat desert plains and two suns, meaning that its potential to produce solar energy has to be huge. They couldn’t export the energy directly of course, but they could do so indirectly—the cheaper energy could allow them to build huge factories and produce starships at a fraction of the cost that other planets do. They could then sell these starships as exports and import water from planets where it is abundant like Naboo, instead of trying to produce their own water locally through those silly (and surely inefficient) moisture vaporators. But Jabba likely has fought any efforts to invest in starship production, because it would require a more educated workforce that’s more likely to unionize and less likely to obey his every command. He probably has established a high tariff on water imports (or even banned them outright), so that he can maintain control by rationing the water supply. (Actually one thing I would have liked to see in the movies was Jabba being periodically doused by slaves with vats of expensive imported water. It would not only show an ostentatious display of wealth for a desert culture, but also serve the much more mundane function of keeping his sensitive gastropod skin from dangerously drying out. That’s why salt kills slugs, after all.) He also probably suppressed any attempt to establish new industries of any kind of Tatooine, fearing that with new industry could come a new balance of power. But then, we come full circle, back to the real world: Why hasn’t the US done the same thing in Zimbabwe? Would it not actually work? We sort of tried it in Libya—a lot of people died, and results are still pending I guess. But doesn’t it seem like we should be doing something? Much as you are officially a professional when people start paying you for what you do, I think you are officially a book reviewer when people start sending you books for free asking you to review them for publicity. This has now happened to me, with the book Equal Is Unfair by Don Watkins and Yaron Brook. This post is longer than usual, but in order to be fair to the book’s virtues as well as its flaws, I felt a need to explain quite thoroughly. It’s a very frustrating book, because at times I find myself agreeing quite strongly with the first part of a paragraph, and then reaching the end of that same paragraph and wanting to press my forehead firmly into the desk in front of me. It makes some really good points, and for the most part uses economic statistics reasonably accurately—but then it rides gleefully down a slippery slope fallacy like a waterslide. But I guess that’s what I should have expected; it’s by leaders of the Ayn Rand Institute, and my experience with reading Ayn Rand is similar to that of Randall Monroe (I’m mainly referring to the alt-text, which uses slightly foul language). Given that the two co-authors are Executive Director and a fellow of the Ayn Rand Institute, I suppose I should really be pleasantly surprised that books 1 and 2 exist, rather than disappointed by book 3. No reasonable economist would disagree. The key is all else being equal—it rarely is. Correct! And worth pointing out, especially to anyone who thinks that economic progress is an illusion or we should go back to pre-industrial farming practices—and such people do exist. Absolutely right, though as I’ll get to below there’s something rather notable about that list. Yes! Precisely! I wish I could explain to more people—on both the Left and the Right, by the way—that economics is nonzero-sum, and that in the long run competitive markets improve the standard of living of society as a whole, not just the people who win that competition. This is sometimes true, but clearly doesn’t apply to things like the Waltons’ inherited billions, for which all they had to do was be born in the right family and not waste their money too extravagantly. This is an interesting point, and one that I think we should acknowledge; we must treat those born rich differently from those born poor, because their unequal starting positions mean that treating them equally from this point forward would lead to a wildly unfair outcome. If my grandfather stole your grandfather’s wealth and passed it on to me, the fair thing to do is not to treat you and I equally from this point forward—it’s to force me to return what was stolen, insofar as that is possible. And even if we suppose that my grandfather earned far vaster wealth than yours, I think a more limited redistribution remains justified simply to put you and I on a level playing field and ensure fair competition and economic efficiency. The way they use “egalitarian” as an insult is a bit grating, but there clearly are some actual egalitarian philosophers whose views are this extreme, such as G.A. Cohen, James Kwak and Peter Singer. I strongly agree that we need to make a principled distinction between gains that are earned and gains that are unearned, such that both sets are nonempty. Yet while Cohen would seem to make “earned” an empty set, Watkins and Brook very nearly make “unearned” empty—you get what you get, and you deserve it. The only exceptions they seem willing to make are outright theft and, what they consider equivalent, taxation. They have no concept of exploitation, excessive market power, or arbitrage—and while they claim they oppose fraud, they seem to think that only government is capable of it. Because Social Security is totally just a handout—it’s not like you pay into it your whole life or anything. Yes they do. We have direct experimental evidence of this. That is not even close to how taxes work. Taxes are not “taken” from money you’d otherwise get—taxation changes prices and the monetary system depends upon taxation. This sentence was so awful that when I showed it to my boyfriend, he assumed it must be out of context. When I showed him the context, he started swearing the most I’ve heard him swear in a long time, because the context was even worse than it sounds. Yes, this book is literally arguing that the reason people are poor is that they’re just too lazy and stupid to work their way out of poverty. So there are my extensive quotations, to show that this really is what the book is saying. Now, a little more summary of the good, the bad, and the ugly. One good thing is that the authors really do seem to understand fairly well the arguments of their opponents. They quote their opponents extensively, and only a few times did it feel meaningfully out of context. Their use of economic statistics is also fairly good, though occasionally they present misleading numbers or compare two obviously incomparable measures. One of the core points in Equal is Unfair is quite weak: They argue against the “shared-pie assumption”, which is that we create wealth as a society, and thus the rest of society is owed some portion of the fruits of our efforts. They maintain that this is fundamentally authoritarian and immoral; essentially they believe a totalizing false dichotomy between either absolute laissez-faire or Stalinist Communism. But the “shared-pie assumption” is not false; we do create wealth as a society. Human cognition is fundamentally social cognition; they said themselves that we depend upon the discoveries of people like Newton and Einstein for our way of life. But it should be obvious we can never pay Einstein back; so instead we must pay forward, to help some child born in the ghetto to rise to become the next Einstein. I agree that we must build a society where opportunity is maximized—and that means, necessarily, redistributing wealth from its current state of absurd and immoral inequality. I do however agree with another core point, which is that most discussions of inequality rely upon a tacit assumption which is false: They call it the “fixed-pie assumption”. Of course, in the real world, there’s no reason to think that the ballooning income share of the top 0.01% in the US is actually associated with improved standard of living for everyone else. Income shares for the top 1% and especially the top 0.1% and 0.01% have risen dramatically in the last 30 years. But real median income has only slightly increased during the same period. Thus, mean income has risen much faster than median income. They do make some other good points I wish more leftists would appreciate, such as the point that while colonialism and imperialism can damage countries that suffer them and make them poorer, they generally do not benefit the countries that commit them and make them richer. The notion that Europe is rich because of imperialism is simply wrong; Europe is rich because of education, technology, and good governance. Indeed, the greatest surge in Europe’s economic growth occurred as the period of imperialism was winding down—when Europeans realized that they would be better off trying to actually invent and produce things rather than stealing them from others. Likewise, they rightfully demolish notions of primitivism and anti-globalization that I often see bouncing around from folks like Naomi Klein. But these are book 1 messages; any economist would agree that primitivism is a terrible idea, and very few are opposed to globalization per se. 1. Abolish all forms of corporate welfare so that no business can gain unfair advantage. 2. Abolish government barriers to work so that every individual can enjoy the dignity of earned success. 3. Phase out the welfare state so that America can once again become the land of self-reliance. 4. Unleash the power of innovation in education by ending the government monopoly on schooling. 5. Liberate innovators from the regulatory shackles that are strangling them. Number 1 is hard to disagree with, except that they include literally everything the government does that benefits a corporation as corporate welfare, including things like subsidies for solar power that the world desperately needs (or millions of people will die). Number 2 sounds really great until you realize that they are including all labor standards, environmental standards and safety regulations as “barriers to work”; because it’s such a barrier for children to not be able to work in a factory where your arm can get cut off, and such a barrier that we’ve eliminated lead from gasoline emissions and thereby cut crime in half. Number 3 could mean a lot of things; if it means replacing the existing system with a basic income I’m all for it. But in fact it seems to mean removing all social insurance whatsoever. Indeed, Watkins and Brook do not appear to believe in social insurance at all. The whole concept of “less fortunate”, “there but for the grace of God go I” seems to elude them. They have no sense that being fortunate in their own lives gives them some duty to help others who were not; they feel no pang of moral obligation whatsoever to help anyone else who needs help. Indeed, they literally mock the idea that human beings are “all in this together”. Regarding number 4, I’d first like to point out that private schools exist. Moreover, so do charter schools in most states, and in states without charter schools there are usually vouchers parents can use to offset the cost of private schools. So while the government has a monopoly in the market share sense—the vast majority of education in the US is public—it does not actually appear to be enforcing a monopoly in the anti-competitive sense—you can go to private school, it’s just too expensive or not as good. Why, it’s almost as if education is a public good or a natural monopoly. Number 5 also sounds all right, until you see that they actually seem most opposed to antitrust laws of all things. Why would antitrust laws be the ones that bother you? They are designed to increase competition and lower barriers, and largely succeed in doing so (when they are actually enforced, which is rare of late). If you really want to end barriers to innovation and government-granted monopolies, why is it not patents that draw your ire? If attributes like intelligence were fungible, I think we’d have a very serious moral question on our hands! It is not obvious to me that the world is better off with its current range of intelligence, compared to a world where geniuses had their excess IQ somehow sucked out and transferred to mentally disabled people. Or if you think that the marginal utility of intelligence is increasing, then maybe we should redistribute IQ upward—take it from some mentally disabled children who aren’t really using it for much and add it onto some geniuses to make them super-geniuses. Of course, the whole notion is ridiculous; you can’t do that. But whereas Watkins and Brook seem to think it’s obvious that we shouldn’t even if we could, I don’t find that obvious at all. You didn’t earn your IQ (for the most part); you don’t seem to deserve it in any deep sense; so why should you get to keep it, if the world would be much better off if you didn’t? Why should other people barely be able to feed themselves so I can be good at calculus? At best, maybe I’m free to keep it—but given the stakes, I’m not even sure that would be justifiable. Peter Singer is right about one thing: You’re not free to let a child drown in a lake just to keep your suit from getting wet. Some of these are things no serious economist would disagree with: We should stop subsidizing agriculture and tariffs should be reduced or removed. Many occupational licenses are clearly unnecessary (though this has a very small impact on inequality in real terms—licensing may stop you from becoming a barber, but it’s not what stops you from becoming a CEO). Others are legitimately controversial: Economists are currently quite divided over whether minimum wage is beneficial or harmful (I lean toward beneficial, but I’d prefer a better solution), as well as how to properly regulate unions so that they give workers much-needed bargaining power without giving unions too much power. But a couple of these are totally backward, exactly contrary to what any mainstream economist would say: Antitrust laws need to be enforced more, not eliminated (don’t take it from me; take it from that well-known Marxist rag The Economist). Subsidies for wind and solar power make the economy more efficient, not less—and suspiciously Watkins and Brook omitted the competing subsidies that actually are harmful, namely those to coal and oil. Moreover, I think it’s very revealing that they included the word progressive when talking about taxation. In what sense does making a tax progressive undermine our freedom? None, so far as I can tell. The presence of a tax undermines freedom—your freedom to spend that money some other way. Making the tax higher undermines freedom—it’s more money you lose control over. But making the tax progressive increases freedom for some and decreases it for others—and since rich people have lower marginal utility of wealth and are generally more free in substantive terms in general, it really makes the most sense that, holding revenue constant, making a tax progressive generally makes your people more free. But there’s one thing that making taxes progressive does do: It benefits poor people and hurts rich people. And thus the true agenda of Equal is Unfair becomes clear: They aren’t actually interested in maximizing freedom—if they were, they wouldn’t be complaining about occupational licensing and progressive taxation, they’d be outraged by forced labor, mass incarceration, indefinite detention, and the very real loss of substantive freedom that comes from being born into poverty. They wouldn’t want less redistribution, they’d want more efficient and transparent redistribution—a shift from the current hodgepodge welfare state to a basic income system. They would be less concerned about the “freedom” to pollute the air and water with impunity, and more concerned about the freedom to breathe clean air and drink clean water. No, what they really believe is rich people are better. They believe that billionaires attained their status not by luck or circumstance, not by corruption or ruthlessness, but by the sheer force of their genius. (This is essentially the entire subject of chapter 6, “The Money-Makers and the Money-Appropriators”, and it’s nauseating.) They describe our financial industry as “fundamentally moral and productive” (p.156)—the industry that you may recall stole millions of homes and laundered money for terrorists. They assert that no sane person could believe that Steve Wozniack got lucky—I maintain no sane person could think otherwise. Yes, he was brilliant; yes, he invented good things. But he had to be at the right place at the right time, in a society that supported and educated him and provided him with customers and employees. You didn’t build that. Indeed, perhaps most baffling is that they themselves seem to admit that the really great innovators, such as Newton, Einstein, and Darwin, were scientists—but scientists are almost never billionaires. Even the common counterexample, Thomas Edison, is largely false; he mainly plagiarized from Nikola Tesla and appropriated the ideas of his employees. Newton, Einstein and Darwin were all at least upper-middle class (as was Tesla, by the way—he did not die poor as is sometimes portrayed), but they weren’t spectacularly mind-bogglingly rich the way that Steve Jobs and Andrew Carnegie were and Bill Gates and Jeff Bezos are. Some people clearly have more talent than others, and some people clearly work harder than others, and some people clearly produce more than others. But I just can’t wrap my head around the idea that a single man can work so hard, be so talented, produce so much that he can deserve to have as much wealth as a nation of millions of people produces in a year. Yet, Mark Zuckerberg has that much wealth. Remind me again what he did? Did he cure a disease that was killing millions? Did he colonize another planet? Did he discover a fundamental law of nature? Oh yes, he made a piece of software that’s particularly convenient for talking to your friends. Clearly that is worth the GDP of Latvia. Not that silly Darwin fellow, who only uncovered the fundamental laws of life itself. In the grand tradition of reducing complex systems to simple numerical values, I give book 1 a 7/10, book 2 a 5/10, and book 3 a 2/10. Equal is Unfair is about 25% book 1, 25% book 2, and 50% book 3, so altogether their final score is, drumroll please: 4/10. Maybe read the first half, I guess? That’s where most of the good stuff is. What can we do to make the world a better place? There are an awful lot of big problems in the world: war, poverty, oppression, disease, terrorism, crime… I could go on for awhile, but I think you get the idea. Solving or even mitigating these huge global problems could improve or even save the lives of millions of people. But precisely because these problems are so big, they can also make us feel powerless. What can one person, or even a hundred people, do against problems on this scale? The answer is quite simple: Do your share. No one person can solve any of these problems—not even someone like Bill Gates, though he for one at least can have a significant impact on poverty and disease because he is so spectacularly mind-bogglingly rich; the Gates Foundation has a huge impact because it has as much wealth as the annual budget of the NIH. But all of us together can have an enormous impact. This post today is about helping you see just how cheap and easy it would be to end world hunger and cure poverty-related diseases, if we simply got enough people to contribute. The Against Malaria Foundation releases annual reports for all their regular donors. I recently got a report that my donations personally account for 1/100,000 of their total assets. That’s terrible. The global population is 7 billion people; in the First World alone it’s over 1 billion. I am the 0.01%, at least when it comes to donations to the Against Malaria Foundation. I’ve given them only $850. Their total assets are only $80 million. They shouldn’t have $80 million—they should have $80 billion. So, please, if you do nothing else as a result of this post, go make a donation to the Against Malaria Foundation. I am entirely serious; if you think you might forget or change your mind, do it right now. Even a dollar would be worth it. If everyone in the First World gave $1, they would get 12 times as much as they currently have. GiveWell is an excellent source for other places you should donate; they rate charities around the world for their cost-effectiveness in the only way worth doing: Lives saved per dollar donated. They don’t just naively look at what percentage goes to administrative costs; they look at how everything is being spent and how many children have their diseases cured. Until the end of April, UNICEF is offering an astonishing five times matching funds—meaning that if you donate $10, a full $50 goes to UNICEF projects. I have really mixed feelings about donors that offer matching funds (So what you’re saying is, you won’t give if we don’t? ), but when they are being offered, use them. All those charities are focused on immediate poverty reduction; if you’re looking for somewhere to give that fights Existential Risk, I highly recommend the Union of Concerned Scientists—one of the few Existential Risk organizations that uses evidence-based projections and recognizes that nuclear weapons and climate change are the threats we need to worry about. And let’s not be too anthropocentrist; there are a lot of other sentient beings on this planet, and Animal Charity Evaluator can help you find which charities will best improve the lives of other animals. I’ve just listed a whole bunch of ways you can give money—and that probably is the best thing for you to give; your time is probably most efficiently used working in your own profession whatever that may be—but there are other ways you can contribute as well. One simple but important change you can make, if you haven’t already, is to become vegetarian. Even aside from the horrific treatment of animals in industrial farming, you don’t have to believe that animals deserve rights to understand that meat is murder. Meat production is a larger contributor to global greenhouse gas emissions than transportation, so everyone becoming vegetarian would have a larger impact against climate change than taking literally every car and truck in the world off the road. Since the world population is less than 10 billion, meat is 18% of greenhouse emissions and the IPCC projects that climate change will kill between 10 and 100 million people over the next century, every 500 to 5000 new vegetarians saves a life. You can move your money from a bank to a credit union, as even the worst credit unions are generally better than the best for-profit banks, and the worst for-profit banks are very, very bad. The actual transition can be fairly inconvenient, but a good credit union will provide you with all the same services, and most credit unions link their networks and have online banking, so for example I can still deposit and withdraw from my University of Michigan Credit Union account while in California. Another thing you can do is reduce your consumption of sweatshop products in favor of products manufactured under fair labor standards. This is harder than it sounds; it can be very difficult to tell what a company’s true labor conditions are like, as the worst companies work very hard to hide them (now, if they worked half as hard to improve them… it reminds me of how many students seem willing to do twice as much work to cheat as they would to simply learn the material in the first place). You should not simply stop buying products that say “Made in China”; in fact, this could be counterproductive. We want products to be made in China; we need products to be made in China. What we have to do is improve labor standards in China, so that products made in China are like products made in Japan or Korea—skilled workers with high-paying jobs in high-tech factories. Presumably it doesn’t bother you when something says “Made in Switzerland” or “Made in the UK”, because you know their labor standards are at least as high as our own; that’s where I’d like to get with “Made in China”. The simplest way to do this is of course to buy Fair Trade products, particularly coffee and chocolate. But most products are not available Fair Trade (there are no Fair Trade computers, and only loose analogues for clothing and shoes). I’m not very happy with the current state of labor standards reporting (much less labor standards enforcement), so I don’t want to recommend any of these sources too highly. But if you are considering buying from one of three companies and only one of them is endorsed by the Fair Labor Association, it couldn’t hurt to buy from that one instead of the others. Buying from ethical companies will generally be more expensive—but rarely prohibitively so, and this is part of how we use price signals to incentivize better behavior. For about a year, BP gasoline was clearly cheaper than other gasoline, because nobody wanted to buy from BP and they were forced to sell at a discount after the Deepwater Horizon disaster. Their profits tanked as a result. That’s the kind of outcome we want—preferably for a longer period of time. I suppose you could also save money by buying cheaper products and then donate the difference, and in the short run this would actually be most cost-effective for global utility; but (1) nobody really does that; people who buy Fair Trade also tend to donate more, maybe just because they are more generous in general, and (2) in the long run what we actually want is more ethical businesses, not a system where businesses exploit everyone and then we rely upon private charity to compensate us for our exploitation. For similar reasons, philanthropy is a stopgap—and a much-needed one—but not a solution. Of course, you can vote. And don’t just vote in the big name elections like President of the United States. Your personal impact may actually be larger from voting in legislatures and even local elections and ballot proposals. Certainly your probability of being a deciding vote is far larger, though this is compensated by the smaller effect of the resulting policies. Most US states have a website where you can look up any upcoming ballots you’ll be eligible to vote on, so you can plan out your decisions well in advance. You may even want to consider running for office at the local level, though I realize this is a very large commitment. But most local officials run uncontested, which means there is no real democracy at work there at all. Finally, you can contribute in some small way to making the world a better place simply by spreading the word, as I hope I’m doing right now. Free trade is not the problem. Billionaires are the problem. One thing that really stuck out to me about the analysis of the outcome of the Michigan primary elections was that people kept talking about trade; when Bernie Sanders, a center-left social democrat, and Donald Trump, a far-right populist nationalist (and maybe even crypto-fascist) are the winners, something strange is at work. The one common element that the two victors seemed to have was their opposition to free trade agreements. And while people give many reasons to support Trump, many quite baffling, his staunch protectionism is one of the stronger voices. While Sanders is not as staunchly protectionist, he definitely has opposed many free-trade agreements. As I talk to people about why they think this is, one of the biggest reasons they always give is some variant of “We keep sending our jobs to China.” There is this deep-seated intuition most Americans seem to have that the degradation of the middle class is the result of trade globalization. Bernie Sanders speaks about ending this by changes in tax policy and stronger labor regulations (which actually makes some sense); Donald Trump speaks of ending this by keeping out all those dirty foreigners (which appeals to the worst in us); but ultimately, they both are working from the narrative that free trade is the problem. But free trade is not the problem. Like almost all economists, I support free trade. Free trade agreements might be part of the problem—but that’s because a lot of free trade agreements aren’t really about free trade. Many trade agreements, especially the infamous TRIPS accord, were primarily about restricting trade—specifically on “intellectual property” goods like patented drugs and copyrighted books. They were about expanding the monopoly power of corporations over their products so that the monopoly applied not just to the United States, but indeed to the whole world. This is the opposite of free trade and everything that it stands for. The TPP was a mixed bag, with some genuinely free-trade provisions (removing tariffs on imported cars) and some awful anti-trade provisions (making patents on drugs even stronger). Every product we buy as an import is another product we sell as an export. This is not quite true, as the US does run a trade deficit; but our trade deficit is small compared to our overall volume of trade (which is ludicrously huge). Total US exports for 2014, the last full year we’ve fully tabulated, were $3.306 trillion—roughly the entire budget of the federal government. Total US imports for 2014 were $3.578 trillion. This makes our trade deficit $272 billion, which is 7.6% of our imports, or about 1.5% of our GDP of $18.148 trillion. So to be more precise, every 100 products we buy as imports are 92 products we sell as exports. If we stopped making all these imports, what would happen? Well, for one thing, millions of people in China would lose their jobs and fall back into poverty. But even if you’re just looking at the US specifically, there’s no reason to think that domestic production would increase nearly as much as the volume of trade was reduced, because the whole point of trade is that it’s more efficient than domestic production alone. It is actually generous to think that by switching to autarky we’d have even half the domestic production that we’re currently buying in imports. And then of course countries we export to would retaliate, and we’d lose all those exports. The net effect of cutting ourselves off from world trade would be a loss of about $1.5 trillion in GDP—average income would drop by 8%. Now, to be fair, there are winners and losers. Offshoring of manufacturing does destroy the manufacturing jobs that are offshored; but at least when done properly, it also creates new jobs by improved efficiency. These two effects are about the same size, so the overall effect is a small decline in the overall number of US manufacturing jobs. It’s not nearly large enough to account for the collapsing middle class. Globalization may be one contributor to rising inequality, as may changes in technology that make some workers (software programmers) wildly more productive as they make other workers (cashiers, machinists, and soon truck drivers) obsolete. But those of us who have looked carefully at the causes of rising income inequality know that this is at best a small part of what’s really going on. The real cause is what Bernie Sanders is always on about: The 1%. Gains in income in the US for the last few decades (roughly as long as I’ve been alive) have been concentrated in a very small minority of the population—in fact, even 1% may be too coarse. Most of the income gains have actually gone to more like the top 0.5% or top 0.25%, and the most spectacular increases in income have all been concentrated in the top 0.01%. The story that we’ve been told—I dare say sold—by the mainstream media (which is, lets face it, owned by a handful of corporations) is that new technology has made it so that anyone who works hard (or at least anyone who is talented and works hard and gets a bit lucky) can succeed or even excel in this new tech-driven economy. I just gave up on a piece of drivel called Bold that was seriously trying to argue that anyone with a brilliant idea can become a billionaire if they just try hard enough. (It also seemed positively gleeful about the possibility of a cyberpunk dystopia in which corporations use mass surveillance on their customers and competitors—yes, seriously, this was portrayed as a good thing.) If you must read it, please, don’t give these people any more money. Find it in a library, or find a free ebook version, or something. Instead you should give money to the people who wrote the book I switched to, Raw Deal, whose authors actually understand what’s going on here (though I maintain that the book should in fact be called Uber Capitalism). When you look at where all the money from the tech-driven “new economy” is going, it’s not to the people who actually make things run. A typical wage for a web developer is about $35 per hour, and that’s relatively good as far as entry-level tech jobs. A typical wage for a social media intern is about $11 per hour, which is probably less than what the minimum wage ought to be. The “sharing economy” doesn’t produce outstandingly high incomes for workers, just outstandingly high income risk because you aren’t given a full-time salary. Uber has claimed that its drivers earn $90,000 per year, but in fact their real take-home pay is about $25 per hour. A typical employee at Airbnb makes $28 per hour. If you do manage to find full-time hours at those rates, you can make a middle-class salary; but that’s a big “if”. “Sharing economy”? Robert Reich has aptly renamed it the “share the crumbs economy”. So where’s all this money going? CEOs. The CEO of Uber has net wealth of $8 billion. The CEO of Airbnb has net wealth of $3.3 billion. But they are paupers compared to the true giants of the tech industry: Larry Page of Google has $36 billion. Jeff Bezos of Amazon has $49 billion. And of course who can forget Bill Gates, founder of Microsoft, and his mind-boggling $77 billion. Can we seriously believe that this is because their ideas were so brilliant, or because they are so talented and skilled? Uber’s “brilliant” idea is just to monetize carpooling and automate linking people up. Airbnb’s “revolutionary” concept is an app to advertise your bed-and-breakfast. At least Google invented some very impressive search algorithms, Amazon created one of the most competitive product markets in the world, and Microsoft democratized business computing. Of course, none of these would be possible without the invention of the Internet by government and university projects. As for what these CEOs do that is so skilled? At this point they basically don’t do… anything. Any real work they did was in the past, and now it’s all delegated to other people; they just rake in money because they own things. They can manage if they want, but most of them have figured out that the best CEOs do very little while CEOS who micromanage typically fail. While I can see some argument for the idea that working hard in the past could merit you owning capital in the future, I have a very hard time seeing how being very good at programming and marketing makes you deserve to have so much money you could buy a new Ferrari every day for the rest of your life. Immigration and globalization are not what is killing the American middle class. Corporatization is what’s killing the American middle class. Specifically, the use of regulatory capture to enforce monopoly power and thereby appropriate almost all the gains of new technologies into into the hands of a few dozen billionaires. Typically this is achieved through intellectual property, since corporate-owned patents basically just are monopolistic regulatory capture. Since 1984, US real GDP per capita rose from $28,416 to $46,405 (in 2005 dollars). In that same time period, real median household income only rose from $48,664 to $53,657 (in 2014 dollars). That means that the total amount of income per person in the US rose by 49 log points (63%), while the amount of income that a typical family received only rose 10 log points (10%). If median income had risen at the same rate as per-capita GDP (and if inequality remained constant, it would), it would now be over $79,000, instead of $53,657. That is, a typical family would have $25,000 more than they actually do. The poverty line for a family of 4 is $24,300; so if you’re a family of 4 or less, the billionaires owe you a poverty line. You should have three times the poverty line, and in fact you have only two—because they took the rest. And let me be very clear: I mean took. I mean stole, in a very real sense. This is not wealth that they created by their brilliance and hard work. This is wealth that they expropriated by exploiting people and manipulating the system in their favor. There is no way that the top 1% deserves to have as much wealth as the bottom 95% combined. They may be talented; they may work hard; but they are not that talented, and they do not work that hard. You speak of “confiscation of wealth” and you mean income taxes? No, this is the confiscation of our nation’s wealth. Those of us who voted for Bernie Sanders voted for someone who is trying to stop it. Those of you who voted for Donald Trump? Congratulations on supporting someone who epitomizes it. We’re now on Eastern Daylight Time because of this bizarre tradition of shifting our time zone forward for half of the year. It’s supposed to save energy, but a natural experiment in India suggests it actually increases energy demand. So why do we do it? Like every ridiculous tradition (have you ever tried to explain Groundhog Day to someone from another country? ), we do it because we’ve always done it. This week’s topic is scope neglect, one of the most pervasive—and pernicious—cognitive heuristics human beings face. Scope neglect raises a great many challenges not only practically but also theoretically—it raises what I call the question of optimal altruism. The question is simple to ask yet remarkably challenging to answer: How much should we be willing to sacrifice in order to benefit others? If we think of this as a number, your solidarity coefficient (s), it is equal to the cost you are willing to pay divided by the benefit your action has for someone else: s B > C.
This is analogous to the biological concept relatedness (r), on which Hamilton’s Rule applies: r B > C. Solidarity is the psychological analogue; instead of valuing people based on their genetic similarity to you, you value them based on… well, that’s the problem. I can easily place upper and lower bounds: The lower bound is zero: You should definitely be willing to sacrifice something to help other people—otherwise you are a psychopath. The upper bound is one: There’s no point in paying more cost than you produce in benefit, and in fact even paying the same cost to yourself as you yield in benefits for other people doesn’t make a lot of sense, because it means that your own self-interest is meaningless and the fact that you understand your own needs better than the needs of others is also irrelevant. But beyond that, it gets a lot harder—and that may explain why we suffer scope neglect in the first place. Should it be 90%? 50%? 10%? 1%? How should it vary between friends versus family versus strangers? It’s really hard to say. And this inability to precisely decide how much other people should be worth to us may be part of why we suffer scope neglect. Scope neglect is the fact that we are not willing to expend effort or money in direct proportion to the benefit it would have. When different groups were asked how much they would be willing to donate in order to save the lives of 2,000 birds, 20,000 birds, or 200,000 birds, the answers they gave were statistically indistinguishable—always about $80. But however much a bird’s life is worth to you, shouldn’t 200,000 birds be worth, well, 200,000 times as much? In fact, more than that, because the marginal utility of wealth is decreasing, but I see no reason to think that the marginal utility of birds decreases nearly as fast. But therein lies the problem: Usually we can’t pay 200,000 times as much. I’d feel like a horrible person if I weren’t willing to expend at least $10 or an equivalent amount of effort in order to save a bird. To save 200,000 birds that means I’d owe $2 million—and I simply don’t have $2 million. But maybe scope neglect isn’t such a bad thing after all. There is a very serious problem with these sort of moral dilemmas: The question didn’t say I would single-handedly save 200,000 birds—and indeed, that notion seems quite ridiculous. If I knew that I could actually save 200,000 birds and I were the only one who could do it, dammit, I would try to come up with that $2 million. I might not succeed, but I really would try as hard as I could. And if I could single-handedly end malaria, I hereby vow that I would do anything it took to achieve that. Short of mass murder, anything I could do couldn’t be a higher cost to the world than malaria itself. I have no idea how I’d come up with $500 million, but I’d certainly try. Bill Gates could easily come up with that $500 million—so he did. In fact he endowed the Gates Foundation with $28 billion, and they’ve spent $1.3 billion of that on fighting malaria, saving hundreds of thousands of lives. With this in mind, what is scope neglect really about? I think it’s about coordination. It’s not that people don’t care more about 200,000 birds than they do about 2,000; and it’s certainly not that they don’t care more about 50,000 children than they do about 500. Rather, the problem is that people don’t know how many other people are likely to donate, or how expensive the total project is likely to be; and we don’t know how much we should be willing to pay to save the life of a bird or a child. Hence, what we basically do is give up; since we can’t actually assess the marginal utility of our donation dollars, we fall back on our automatic emotional response. Our mind focuses itself on visualizing that single bird covered in oil, or that single child suffering from malaria. We then hope that the representative heuristic will guide us in how much to give. Or we follow social norms, and give as much as we think others would expect us to give. While many in the effective altruism community take this to be a failing, they never actually say what we should do—they never give us a figure for how much money we should be willing to donate to save the life of a child. Instead they retreat to abstraction, saying that whatever it is we’re willing to give to save a child, we should be willing to give 50,000 times as much to save 50,000 children. But it’s not that simple. A bigger project may attract more supporters; if the two occur in direct proportion, then constant donation is the optimal response. Since it’s probably not actually proportional, you likely should give somewhat more to causes that affect more people; but exactly how much more is an astonishingly difficult question. I really don’t blame people—or myself—for only giving a little bit more to causes with larger impact, because actually getting the right answer is so incredibly hard. This is why it’s so important that we have institutions like GiveWell and Charity Navigator which do the hard work to research the effectiveness of charities and tell us which ones we should give to. Yet even if we can properly prioritize which charities to give to first, that still leaves the question of how much each of us should give. 1% of our income? 5%? 10%? 20%? 50%? Should we give so much that we throw ourselves into the same poverty we are trying to save others from? In his earlier work Peter Singer seemed to think we should give so much that it throws us into poverty ourselves; he asked us to literally compare every single purchase and ask ourselves whether a year of lattes or a nicer car is worth a child’s life. Of course even he doesn’t live that way, and in his later books Singer seems to have realized this, and now recommends the far more modest standard that everyone give at least 1% of their income. (He himself gives about 33%, but he’s also very rich so he doesn’t feel it nearly as much.) I think he may have overcompensated; while if literally everyone gave at least 1% that would be more than enough to end world hunger and solve many other problems—world nominal GDP is over $70 trillion, so 1% of that is $700 billion a year—we know that this won’t happen. Some will give more, others less; most will give nothing at all. Hence I think those of us who give should give more than our share; hence I lean toward figures more like 5% or 10%. But then, why not 50% or 90%? It is very difficult for me to argue on principle why we shouldn’t be expected to give that much. Because my income is such a small proportion of the total donations, the marginal utility of each dollar I give is basically constant—and quite high; if it takes about $1000 to save a child’s life on average, and each of these children will then live about 60 more years at about half the world average happiness, that’s about 30 QALY per $1000, or about 30 milliQALY per dollar. Even at my current level of income (incidentally about as much as I think the US basic income should be), I’m benefiting myself only about 150 microQALY per dollar—so my money is worth about 200 times as much to those children as it is to me. So now we have to ask ourselves the really uncomfortable question: How much do I value those children, relative to myself? If I am at all honest, the value is not 1; I’m not prepared to die for someone I’ve never met 10,000 kilometers away in a nation I’ve never even visited, nor am I prepared to give away all my possessions and throw myself into the same starvation I am hoping to save them from. I value my closest friends and family approximately the same as myself, but I have to admit that I value random strangers considerably less. Do I really value them at less than 1%, as these figures would seem to imply? I feel like a monster saying that, but maybe it really isn’t so terrible—after all, most economists seem to think that the optimal solidarity coefficient is in fact zero. Maybe we need to become more comfortable admitting that random strangers aren’t worth that much to us, simply so that we can coherently acknowledge that they aren’t worth nothing. Very few of us actually give away all our possessions, after all. Then again, what do we mean by worth? I can say from direct experience that a single migraine causes me vastly more pain than learning about the death of 200,000 people in an earthquake in Southeast Asia. And while I gave about $100 to the relief efforts involved in that earthquake, I’ve spent considerably more on migraine treatments—thousands, once you include health insurance. But given the chance, would I be willing to suffer a migraine to prevent such an earthquake? Without hesitation. So the amount of pain we feel is not the same as the amount of money we pay, which is not the same as what we would be willing to sacrifice. I think the latter is more indicative of how much people’s lives are really worth to us—but then, what we pay is what has the most direct effect on the world. It’s actually possible to justify not dying or selling all my possessions even if my solidarity coefficient is much higher—it just leads to some really questionable conclusions. Essentially the argument is this: I am an asset. I have what economists call “human capital”—my health, my intelligence, my education—that gives me the opportunity to affect the world in ways those children cannot. In my ideal imagined future (albeit improbable) in which I actually become President of the World Bank and have the authority to set global development policy, I myself could actually have a marginal impact of megaQALY—millions of person-years of better life. In the far more likely scenario in which I attain some mid-level research or advisory position, I could be one of thousands of people who together have that sort of impact—which still means my own marginal effect is on the order of kiloQALY. And clearly it’s true that if I died, or even if I sold all my possessions, these events would no longer be possible. Is it enough that our economy would collapse without teachers, secretaries, airline pilots and truck drivers? But this seems rather like the fact that if everyone in the world visited the same restaurant there wouldn’t be enough room. Surely we could do without any individual teacher, any individual truck driver? If everyone gave the same proportion of their income, 1% would be more than enough to end malaria and world hunger. But we know that everyone won’t give, and the job won’t get done if those of us who do give only 1%. Perhaps we should figure out what proportion of the world’s people are likely to give, and how much we need altogether, and then assign the amount we expect from each of them based on that? The more money you ask from each, the fewer people are likely to give. This creates an optimization problem akin to setting the price of a product under monopoly—monopolies maximize profits by carefully balancing the quantity sold with the price at which they sell, and perhaps a similar balance would allow us to maximize development aid. But wouldn’t it be better if we could simply increase the number of people who give, so that we don’t have to ask so much of those who are generous? That means tax-funded foreign aid is the way to go, because it ensures coordination. And indeed I do favor increasing foreign aid to about 1% of GDP—in the US it is currently about $50 billion, 0.3% of GDP, a little more than 1% of the Federal budget. (Most people who say we should “cut” foreign aid don’t realize how small it already is.) But foreign aid is coercive; wouldn’t it be better if people would give voluntarily? I don’t have a simple answer. I don’t know how much other people’s lives ought to be worth to us, or what it means for our decisions once we assign that value. But I hope I’ve convinced you that this problem is an important one—and made you think a little more about scope neglect and why we have it. As I write there is some sort of mariachi band playing on my front lawn. It is actually rather odd that I have a front lawn, since my apartment is set back from the road; yet there is the patch of grass, and there is the band playing upon it. This sort of thing is part of the excitement of living in a large city (and Long Beach would seem like a large city were it not right next to the sprawling immensity that is Los Angeles—there are more people in Long Beach than in Cleveland, but there are more people in greater Los Angeles than in Sweden); with a certain critical mass of human beings comes unexpected pieces of culture. The fact that people agglomerate in this way is actually relevant to today’s topic, which is what I will call the winner-takes-all effect. I actually just finished reading a book called The Winner-Take-All Society, which is particularly horrifying to read because it came out in 1996. That’s almost twenty years ago, and things were already bad; and since then everything it describes has only gotten worse. What is the winner-takes-all effect? It is the simple fact that in competitive capitalist markets, a small difference in quality can yield an enormous difference in return. The third most popular soda drink company probably still makes drinks that are pretty good, but do you have any idea what it is? There’s Coke, there’s Pepsi, and then there’s… uh… Dr. Pepper, apparently! But I didn’t know that before today and I bet you didn’t either. Now think about what it must be like to be the 15th most popular soda drink company, or the 37th. That’s the winner-takes-all effect. I don’t generally follow football, but since tomorrow is the Super Bowl I feel some obligation to use that example as well. The highest-paid quarterback is Russell Wilson of the Seattle Seahawks, who is signing onto a five-year contract worth $110 million ($22 million a year). In annual income that will make him pass Jay Cutler of the Chicago Bears who has a seven-year contract worth $127 million ($18.5 million a year). This shift may have something to do with the fact that the Seahawks are in the Super Bowl this year and the Bears are not (they haven’t since 2007). Now consider what life is like for most football players; the median income of football players is most likely zero (at least as far as football-related income), and the median income of NFL players—the cream of the crop already—is $770,000; that’s still very good money of course (more than Krugman makes, actually! But he could make more, if he were willing to sell out to Wall Street), but it’s barely 1/30 of what Wilson is going to be making. To make that million-dollar salary, you need to be the best, of the best, of the best (sir!). That’s the winner-takes-all effect. To go back to the example of cities, it is for similar reasons that the largest cities (New York, Los Angeles, London, Tokyo, Shanghai, Hong Kong, Delhi) become packed with tens of millions of people while others (Long Beach, Ann Arbor, Cleveland) get hundreds of thousands and most (Petoskey, Ketchikan, Heber City, and hundreds of others you’ve never heard of) get only a few thousand. Beyond that there are thousands of tiny little hamlets that many don’t even consider cities. The median city probably has about 10,000 people in it, and that only because we’d stop calling it a city if it fell below 1,000. If we include every tiny little village, the median town size is probably about 20 people. Meanwhile the largest city in the world is Tokyo, with a greater metropolitan area that holds almost 38 million people—or to put it another way almost exactly as many people as California. Huh, LA doesn’t seem so big now does it? How big is a typical town? Well, that’s the thing about this sort of power-law distribution; the concept of “typical” or “average” doesn’t really apply anymore. Each little piece of the distribution has basically the same shape as the whole distribution, so there isn’t a “typical” size or scale. That’s the winner-takes-all effect. As they freely admit in the book, it isn’t literally that a single winner takes everything. That is the theoretical maximum level of wealth inequality, and fortunately no society has ever quite reached it. The closest we get in today’s society is probably Saudi Arabia, which recently lost its king—and yes I do mean king in the fullest sense of the word, a man of virtually unlimited riches and near-absolute power. His net wealth was estimated at $18 billion, which frankly sounds low; still even if that’s half the true amount it’s oddly comforting to know that he is still not quite as rich as Bill Gates ($78 billion), who earned his wealth at least semi-legitimately in a basically free society. Say what you will about intellectual property rents and market manipulation—and you know I do—but they are worlds away from what Abdullah’s family did, which was literally and directly robbed from millions of people by the power of the sword. Mostly he just inherited all that, and he did implement some minor reforms, but make no mistake: He was ruthless and by no means willing to give up his absolute power—he beheaded dozens of political dissidents, for example. Saudi Arabia does spread their wealth around a little, such that basically no one is below the UN poverty lines of $1.25 and $2 per day, but about a fourth of the population is below the national poverty line—which is just about the same distribution of wealth as what we have in the US, which actually makes me wonder just how free and legitimate our markets really are. The winner-takes-all effect would really be more accurately described as the “top small fraction takes the vast majority” effect, but that isn’t nearly as catchy, now is it? There are several different causes that can all lead to this same result. In the book, Robert Frank and Philip Cook argue that we should not attribute the cause to market manipulation, but in fact to the natural functioning of competitive markets. There’s something to be said for this—I used to buy the whole idea that competitive markets are the best, but increasingly I’ve been seeing ways that less competitive markets can make better overall outcomes. Where they lose me is in arguing that the skyrocketing compensation packages for CEOs are due to their superior performance, and corporations are just being rational in competing for the best CEOs. If that were true, we wouldn’t find that the rank correlation between the CEO’s pay and the company’s stock performance is statistically indistinguishable from zero. Actually even a small positive correlation wouldn’t prove that the CEOs are actually performing well; it could just be that companies that perform well are willing to pay their CEOs more—and stock option compensation will do this automatically. But in fact the correlation is so tiny as to be negligible; corporations would be better off hiring a random person off the street and paying them $50,000 for all the CEO does for their stock performance. If you adjust for the size of the company, you find that having a higher-paid CEO is positively related to performance for small startups, but negatively correlated for large well-established corporations. No, clearly there’s something going on here besides competitive pay for high performance—corruption comes to mind, which you’ll remember was the subject of my master’s thesis. But in some cases there isn’t any apparent corruption, and yet we still see these enormously unequal distributions of income. Another good example of this is the publishing industry, in which J.K. Rowling can make over $1 billion (she donated enough to charity to officially lose her billionaire status) but most authors make little or nothing, particularly those who can’t get published in the first place. I have no reason to believe that J.K. Rowling acquired this massive wealth by corruption; she just sold an awful lot of books—over 100 million of the first Harry Potter book alone. But why would she be able to sell 100 million while thousands of authors write books that are probably just as good or nearly so make nothing? Am I just bitter and envious, as Mitt Romney would say? Is J.K. Rowling actually a million times as good an author as I am? Obviously not, right? She may be better, but she’s not that much better. So how is it that she ends up making a million times as much as I do from writing? It feels like squaring the circle: How can markets be efficient and competitive, yet some people are being paid millions of times as others despite being only slightly more productive? The answer is simple but enormously powerful: positive feedback.Once you start doing well, it’s easier to do better. You have what economists call an economy of scale. The first 10,000 books sold is the hardest; then the next 10,000 is a little easier; the next 10,000 a little easier still. In fact I suspect that in many cases the first 10% growth is harder than the second 10% growth and so on—which is actually a much stronger claim. For my sales to grow 10% I’d need to add like 20 people. For J.K. Rowling’s sales to grow 10% she’d need to add 10 million. Yet it might actually be easier for J.K. Rowling to add 10 million than for me to add 20. If not, it isn’t much harder. Suppose we tried by just sending out enticing tweets. I have about 100 Twitter followers, so I’d need 0.2 sales per follower; she has about 4 million, so she’d need an average of 2.5 sales per follower. That’s an advantage for me, percentage-wise—but if we have the same uptake rate I sell 20 books and she sells 800,000. Network externalities are not the only way that the winner-takes-all effect can occur, though I think it is the most common. You can also have economies of scale from the supply side, particularly in the case of information: Recording a song is a lot of time and effort, but once you record a song, it’s trivial to make more copies of it. So that first recording costs a great deal, while every subsequent recording costs next to nothing. This is probably also at work in the case of J.K. Rowling and the NFL; the two phenomena are by no means mutually exclusive. But clearly the sizes of cities are due to network externalities: It’s quite expensive to live in a big city—no supply-side economy of scale—but you want to live in a city where other people live because that’s where friends and family and opportunities are. The most worrisome kind of winner-takes-all effect is what Frank and Cook call deep pockets: Once you have concentration of wealth in a few hands, those few individuals can now choose their own winners in a much more literal sense: the rich can commission works of art from their favorite artists, exacerbating the inequality among artists; worse yet they can use their money to influence politicians (as the Kochs are planning on spending $900 million—$3 for every person in America—to do in 2016) and exacerbate the inequality in the whole system. That gives us even more positive feedback on top of all the other positive feedbacks. Sure enough, if you run the standard neoclassical economic models of competition and just insert the assumption of economies of scale, the result is concentration of wealth—in fact, if nothing about the rules prevents it, the result is a complete monopoly. Nor is this result in any sense economically efficient; it’s just what naturally happens in the presence of economies of scale. Frank and Cook seem most concerned about the fact that these winner-take-all incomes will tend to push too many people to seek those careers, leaving millions of would-be artists, musicians and quarterbacks with dashed dreams when they might have been perfectly happy as electrical engineers or high school teachers. While this may be true—next week I’ll go into detail about prospect theory and why human beings are terrible at making judgments based on probability—it isn’t really what I’m most concerned about. For all the cost of frustrated ambition there is also a good deal of benefit; striving for greatness does not just make the world better if we succeed, it can make ourselves better even if we fail. I’d strongly encourage people to have backup plans; but I’m not going to tell people to stop painting, singing, writing, or playing football just because they’re unlikely to make a living at it. The one concern I do have is that the competition is so fierce that we are pressured to go all in, to not have backup plans, to use performance-enhancing drugs—they may carry awful risks, but they also work. And it’s probably true, actually, that you’re a bit more likely to make it all the way to the top if you don’t have a backup plan. You’re also vastly more likely to end up at the bottom. Is raising your probability of being a bestselling author from 0.00011% to 0.00012% worth giving up all other career options? Skipping chemistry class to practice football may improve your chances of being an NFL quarterback from 0.000013% to 0.000014%, but it will also drop your chances of being a chemical engineer from 95% (a degree in chemical engineering almost guarantees you a job eventually) to more like 5% (it’s hard to get a degree when you flunk all your classes). Frank and Cook offer a solution that I think is basically right; they call it positional arms control agreements. By analogy with arms control agreements between nations—and what is war, if not the ultimate winner-takes-all contest?—they propose that we use taxation and regulation policy to provide incentives to make people compete less fiercely for the top positions. Some of these we already do: Performance-enhancing drugs are banned in professional sports, for instance. Even where there are no regulations, we can use social norms: That’s why it’s actually a good thing that your parents rarely support your decision to drop out of school and become a movie star. That’s yet another reason why progressive taxation is a good idea, as if we needed another; by paring down those top incomes it makes the prospect of winning big less enticing. If NFL quarterbacks only made 10 times what chemical engineers make instead of 300 times, people would be a lot more hesitant to give up on chemical engineering to become a quarterback. If top Wall Street executives only made 50 times what normal people make instead of 5000, people with physics degrees might go back to actually being physicists instead of speculating on stock markets. There is one case where we might not want fewer people to try, and that is entrepreneurship. Most startups fail, and only a handful go on to make mind-bogglingly huge amounts of money (often for no apparent reason, like the Snuggie and Flappy Bird), yet entrepreneurship is what drives the dynamism of a capitalist economy. We need people to start new businesses, and right now they do that mainly because of a tiny chance of a huge benefit. Yet we don’t want them to be too unrealistic in their expectations: Entrepreneurs are much more optimistic than the general population, but the most successful entrepreneurs are a bit less optimistic than other entrepreneurs. The most successful strategy is to be optimistic but realistic; this outperforms both unrealistic optimism and pessimism. That seems pretty intuitive; you have to be confident you’ll succeed, but you can’t be totally delusional. Yet it’s precisely the realistic optimists who are most likely to be disincentivized by a reduction in the top prizes. Here’s my solution: Let’s change it from a tiny change of a huge benefit to a large chance of a moderately large benefit. Let’s reward entrepreneurs for trying—with standards for what constitutes a really serious, good attempt rather than something frivolous that was guaranteed to fail. Use part of the funds from the progressive tax as a fund for angel grants, provided to a large number of the most promising entrepreneurs. It can’t be a million-dollar prize for the top 100. It needs to be more like a $50,000 prize for the top 100,000 (which would cost $5 billion a year, affordable for the US government). It should be paid at the proposal phase; the top 100,000 business plans receive the funding and are under no obligation to repay it. It has to be enough money that someone can rationally commit themselves to years of dedicated work without throwing themselves into poverty, and it has to be confirmed money so that they don’t have to worry about throwing themselves into debt. As for the upper limit, it only needs to be small enough that there is still an incentive for the business to succeed; but even with a 99% tax Mark Zuckerberg would still be a millionaire, so the rewards for success are high indeed. The good news is that we actually have such a system to some extent. For research scientists rather than entrepreneurs, NSF grants are pretty close to what I have in mind, but at present they are a bit too competitive: 8,000 research grants with a median of $130,000 each and a 20% acceptance rate isn’t quite enough people—the acceptance rate should be higher, since most of these proposals are quite worthy. Still, it’s close, and definitely a much better incentive system than what we have for entrepreneurs; there are almost 12 million entrepreneurs in the United States, starting 6 million businesses a year, 75% of which fail before they can return their venture capital. Those that succeed have incomes higher than the general population, with a median income of around $70,000 per year, but most of this is accounted for by the fact that entrepreneurs are more educated and talented than the general population. Once you factor that in, successful entrepreneurs have about 50% more income on average, but their standard deviation of income is also 60% higher—so some are getting a lot and some are getting very little. Since 75% fail, we’re talking about a 25% chance of entering an income distribution that’s higher on average but much more variable, and a 75% chance of going through a period with little or no income at all—is it worth it? Maybe, maybe not. But if you could get a guaranteed $50,000 for having a good idea—and let me be clear, only serious proposals that have a good chance of success should qualify—that deal sounds an awful lot better.